Today we review of the best two-way coffee makers, and we go through the pros and the cons of each, in order to determine which is really #1. 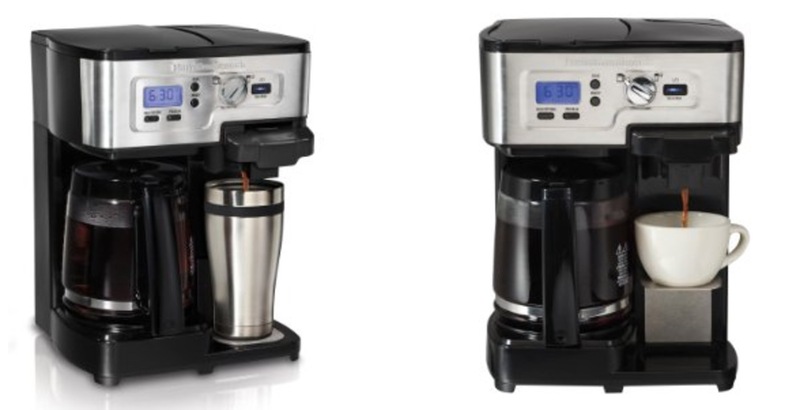 These coffee dynamos are the Cuisinart CHW-12 and the Hamilton Beach FlexBrew. 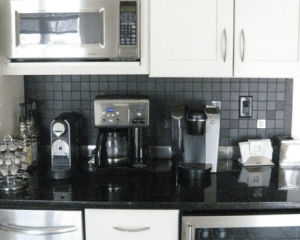 To be clear, a two-way coffee maker is a coffee maker that gives you two great options for brewing coffee, with both a single serve option, and a full pot option. 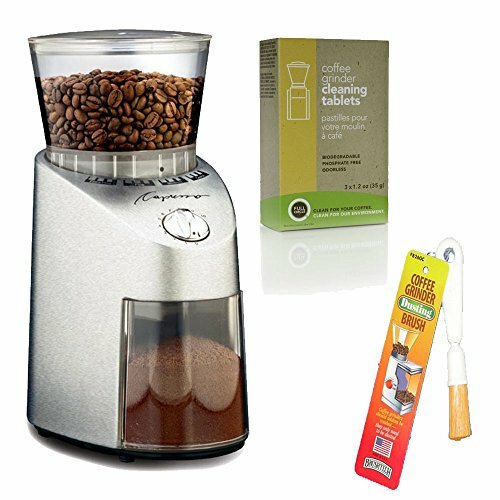 These types of coffee makers are perfect for when you’re on the go and need to fill up your travel mug, or bang out a cup before work. On the other hand, you might perhaps want to sit down and entertain guests and need a full pot! These two-way coffee makers make each option a breeze, and allow you to plan your time a bit better. 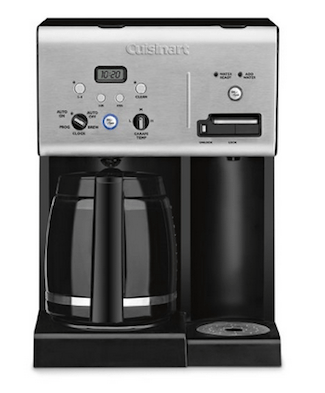 We shall begin with the Cuisinart CHW-12, and run down it’s vital stats, followed by the FlexBrew. Here we have two very similar, but by no means identical programmable coffee makers. 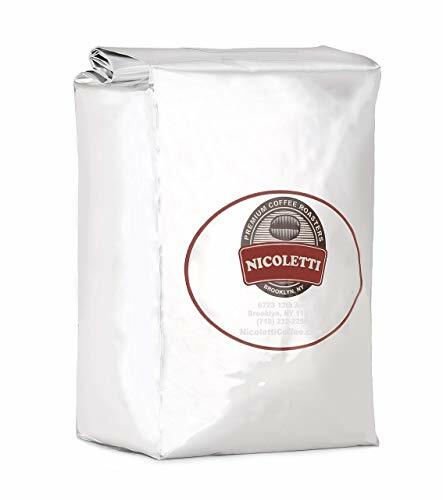 Weighing in respectively at 8.3 pounds (FlexBrew) and 10 pounds pounds (Cuisinart), these are well-matched in size and stature, with neither over-occupying the space on your kitchen counter. If you already have enough things on your kitchen counter, you can take comfort in the fact that both of these machines are not huge space-taker-uppers. Side by side, these machines do not look much different. Both are the classic combination of black and silver, which allows them to blend in to most kitchen decors. Even the logos look somewhat the same, with the same type of emblazoned writing. There are design differences, however, which I would say are telling of the purposes of each machine. I will get into it more, but the Cuisinart CHW-12 has that vertical line to indicate the two sides of the machine (coffee maker vs water heater), whereas the Flexbrew’s upper control area is integrated. I think the Flexbrew machine is more integrated when it comes to being all about coffee. Their capacity level is the same for the pot of coffee, at about 12 cups maximum. However, they are slightly different when it comes to the smaller amounts of coffee, eg. the one-cup feature. 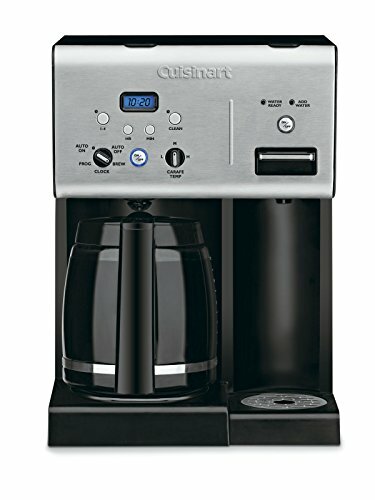 The Cuisinart CHW-12 brews between 1 and 4 cups’ worth of coffee with a 54 ounce reservoir for your hot water on the right hand side of the unit, allowing you to measure out the amount of coffee you want. In effect, this is simply a hot water dispenser that can be used to make anything from coffee, to tea, to oatmeal, to soup. But it not K-Cup compatible. Here is a video review from Cuisinart themselves explaining the machine. 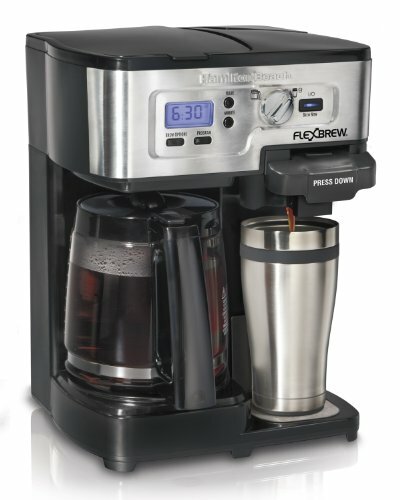 As I mentioned before, the Hamilton Beach FlexBrew 2-Way Coffee Maker I think is more of a true two-way coffee maker, rather than just a coffee maker with a hot water reservoir attached. It is specifically designed to give you your pot of coffee, or your one cup of coffee, as the one cup feature is K Cup compatible. Here is a quick review of the Flexbrew to give you a closer look at the unit. Both of these units are very handy, and flexible, and come with a number of features, including brew pausing, a programmable timer, and a warranty (although not the same warranty). 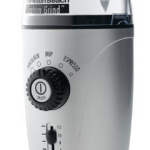 We like that both units are basically good to go out of the box, and are easy to use. 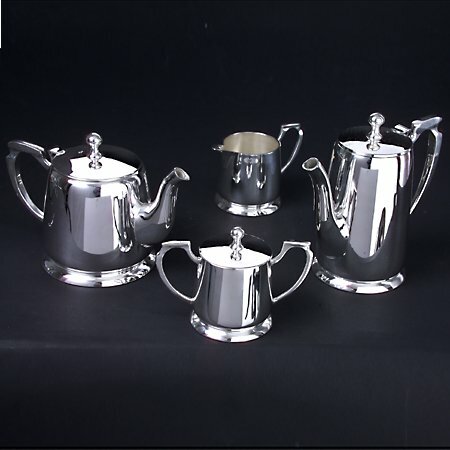 Both look aesthetically similar, as mentioned, and both come in black and silver, although we’ve seen the Cuisinart in red which looks nice as well. Both units come with nicely designed carafes that are easy to pour and also include glass which has measurement indicators on them. 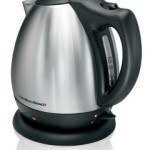 The Hamilton Beach FlexBrew, being specifically for one cup only pouring on the right hand side, has a little elevator so you can put your cup right up close to the spout, and this will help you not get splashed with burning hot water droplets that may fly everywhere with the Cuisinart. Prices do change everywhere you go, but from what I’ve seen, these machines are fairly closely priced, with usually about $10 or so difference, but it could be more. It really does depend where you shop, of course. Overall, these units do not cost an arm and a leg being under $100, and so I think they’re pretty well matched as far as price goes. 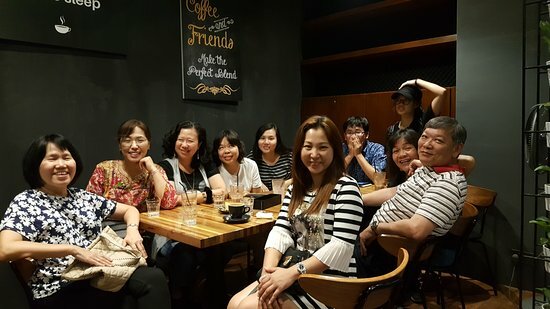 Each of the brand names is very well known in coffee business, and so you can essentially depend on these products to give you your money’s worth. It seems there is a bit of an issue with a “plastic taste” in some of these coffee makers, due to the materials used in their construction, as some customers have complained about. The usual advice is to wash well out with vinegar and water and mostly, this works. However, not always. The thing is, you get what you pay for. These carafes are nice, and the units themselves look fairly sturdy, but it is the plastic components of these units that can give the coffee a certain unpleasant tinge, because of all the heat and plastic being used together. People have also complained about the hot plates being too hot, but there are warnings on the product for that. It’s really a tough call. Both of these machines are designed really well, and give you a fair amount of cool features for the price you pay. 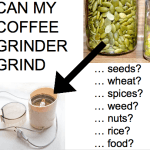 Personally, I like coffee coffee and more coffee so I like the FlexBrew, because it’s made with K Cup compatibility for my one cup, and then I can have the pot. With the Cuisinart, it’s a little more open-ended. It’s designed to have that hot water feature that can make you anything, from hot chocolate to oatmeal. It just supplies the hot water. 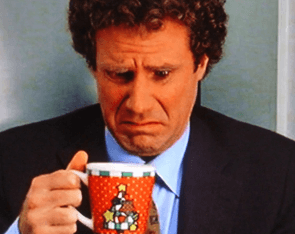 That’s all well and good, but at the end of the day, I just want my coffee, so I will choose the FlexBrew. That said, both machines deserve a tip of the cap, and I can honestly recommend them both. I have had a Hamilton Beach coffee Maker for 2 years. It has been extremely irritating as over the time it has a ERR message when doing single cup. I unplug and pour water out and eventually it will make another cup. I have noticed that when making single cup the pot plate is HOT. Is that normal? Gayelle – Argh, it only has a 1 year warranty so that’s no good. Hmm, no it doesn’t sound normal at all, and sadly it doesn’t sound like the type of thing you can easily fix. Hot plate issues can be dangerous and ERR messages are super annoying. It sounds like it might be time for a new unit! We have had this coffee maker for one year and there have been several times when the single cup does not work. We have cleaned the reservoir with vinegar and then a few months later, it happens again. This POS gadget kacked out on me after 4 months of use, first the kcup side then the carafe side DONT WASTE YOUR MONEY! 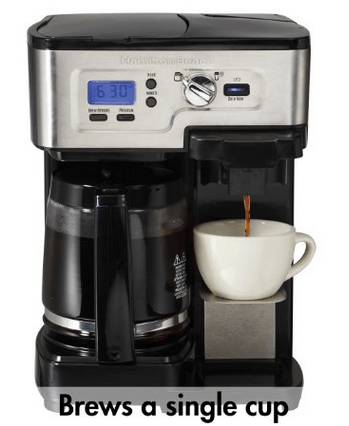 The Hamilton Beach Flex Brew garbage! Can you be more specific when you mention that it bit the biscuit? What exactly happened?